Yes, here in Hollywood ANYTHING is possible...so if you were ever a little child who dreamt of growing up and getting married in a doughnut shop...well kid...dreams come true. 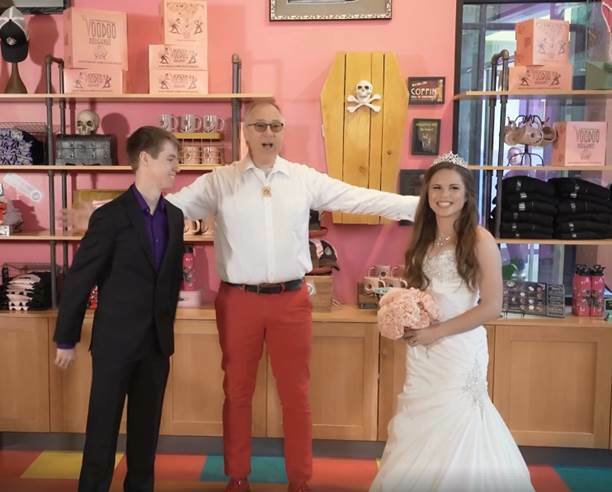 Yes sir, and mame, Voodoo Doughnut's at Universal Citiwalk is now offering wedding packages. What a SWEET deal. 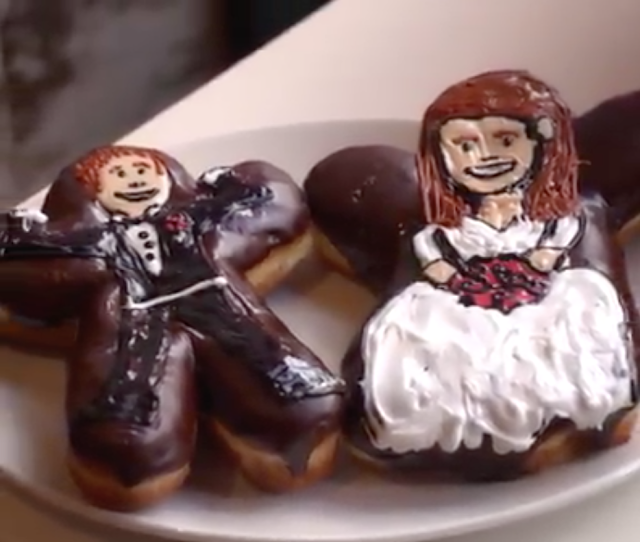 Make your wedding a memorable event that no one will forget at Voodoo Doughnut! Your guests will talk about your amazing doughnut presentation for years to come. Legal Wedding Ceremony for up to 13 people. We need at least a week's notice, but the more notice the better, especially if you are looking for a specific date and time. 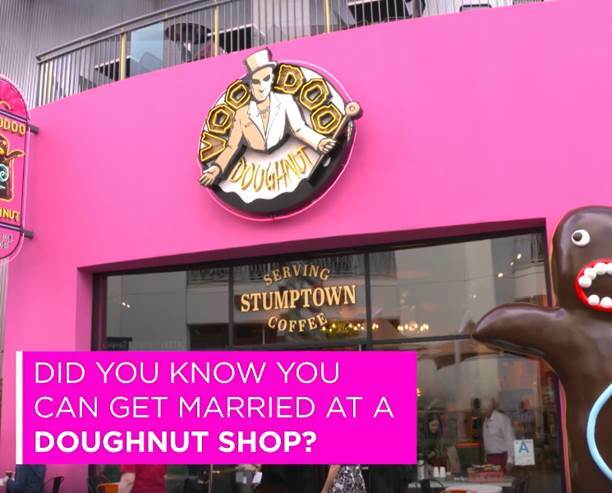 To request your Wedding Ceremony at Voodoo Doughnut Universal CityWalk Hollywood California, please contact us directly. To see more....click HERE...and to see a video of an actual wedding that took place there...click HERE. I never question taste...and thank God for that. Voodoo Doughnut's...we ❤️ya.